2019 / New year - New headshots! Hanna Oldenburg / portrait by Robin Skjoldborg, Denmark. 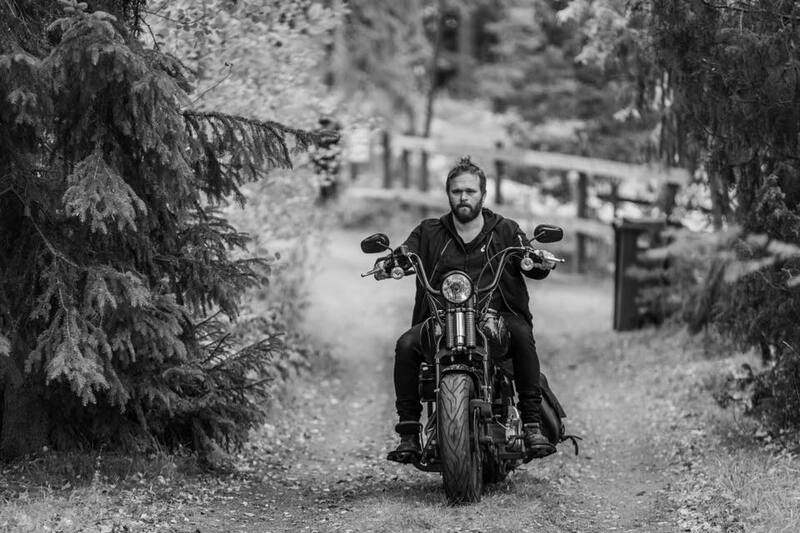 Portraits and photographs taken by the great Robin Skjoldborg. I’ve wanted to work with Robin for quite some time after seeing his previous work with David and Daniel Dencik. I think he’s got great style and taste, and his professionalism is on another level. Here are a couple of shots from the session, taken from his studio in Copenhagen, Denmark. Hanna Oldenburg / photograph by Robin Skjoldborg, Denmark. Tv-pilot “SERIÖST” has finished post production. This is a show about the lives of four Swedish-African women living in Stockholm. Even though it’s about the racism these women tackle in their everyday life, it’s made with lots of humor and it has a lightness to it that’s very appealing. The show constantly shifts between drama and comedy. I’m playing Fiona, a caucasian hippie who’s recently “found herself” in India, and who now practices her spiritual routines full time. I recently worked on a Tv pilot of a book trilogy by Liselotte Divelli. I played a supporting character, a police officer, in this pilot starring Joakim Nätterqvist, known for the movies “ARN”. “Skärvor” is in post production and looks promising to be picked up. It’s a wrap - Viaplay’s season 1 of Tv-series HONOUR that we shot during the fall. The series follows the employees at law firm HEDER, where I’m playing one of the lawyers. The lead roles are played by Eva Röse, Anja Lundqvist, Julia Dufvenius and Alexandra Rapaport. Had the opportunity to play opposite Krister Henriksson in Christmas comedy “O HELVETES NATT” recently - a film by Ante Juneholm, Alexander Fejér and Linus Areklew. Henriksson and I played a pair of drama school teachers and it was a joy working with him and the rest of the team. 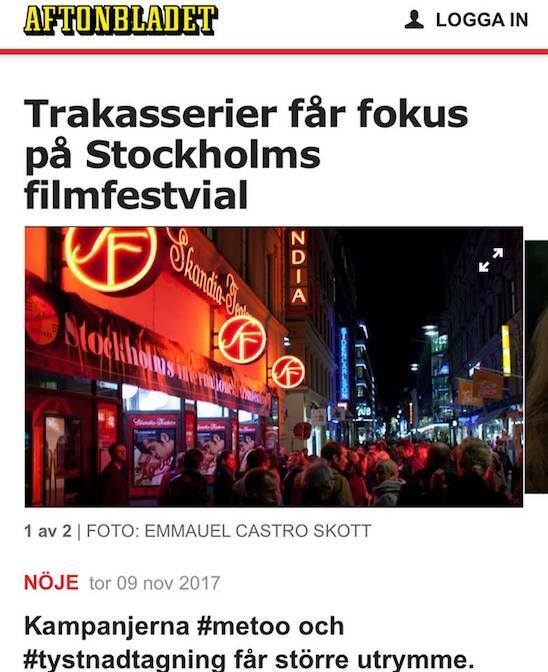 Thursday Nov 16, Filmhuset in Stockholm - I, representing Stockholm Film Festival, arranged a debate regarding #metoo and #tystnadtagning in collaboration with WIFT (Women in Film & TV) and Heja Livet. An extremely important discussion today. After Weinstein, #metoo and #tystnadtagning - what actions do we take? In the panel Anna Serner (VD Svenska Filminstitutet), Josefine Tengblad (Dramachef TV4), Zoë Que (Director of Photography), Anna Velander Gisslén (WIFT), Daniel Bramme (Executive Producer, Investor), Emely Crona Stenberg (Heja Livet) och Jan Blomgren (Bob Film/Art89).